To compliment our landscaping service. We design and custom build pool houses, cabanas, 3 season sun rooms and wood pergola’s along with cedar and PVC decks and fences. We look after all permits and inspections coordinated with the city building code. Many of our pool houses have cultured stone , metal siding , decorative doors and lighting, we have built may with bunk beds, full kitchens, fireplaces, bar counters, built in bbq’s, electricity, water. 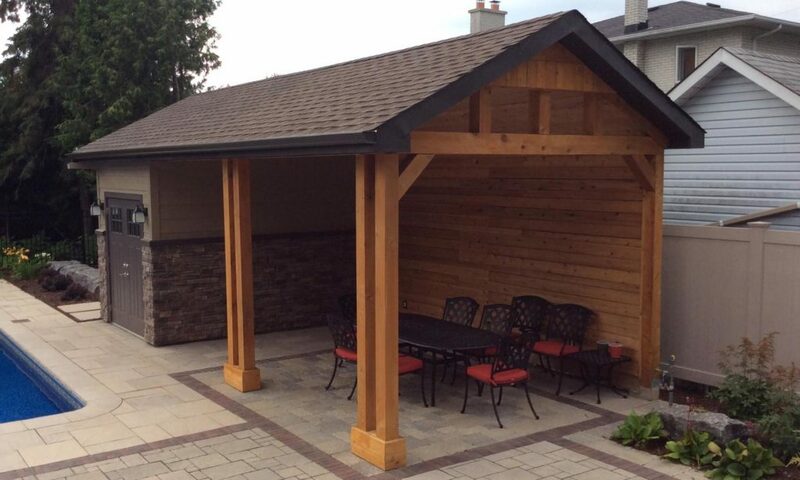 Let us design and build your next stunning outdoor structure to complete your landscape project that will serve many purposes and haves years of enjoyment with our attention to craftsmanship you will have a new place to relax.